← Monday Question – Do You Change Your Perfume Wardrobe With The Seasons? Poivre Samarcande, one of the four originally released Hermessences, is consistently described as masculine, which is why a sample has been languishing in my sample box for the longest time, unsniffed and ignored. I am so glad I finally got around to trying it. A dry, peppery, but also sweet and lovely wood fragrance, Poivre Samarcande quickly advanced to one of my favorite Hermessences. Created in 2004 by Jean-Claude Ellena, Poivre Samarkande features notes of pepper, chili pepper, oak, cedar, Chinese moss, and musk. Poivre Samarkande opens with a blast of chili and pepper, but is instantly soft and sweet too. It is hard to describe, but pepper often tends to have a sharp, harsh almost animalic tone to it, which is totally lacking here, and which makes this very feminine to my nose, although it is surely perfectly wearable for both genders. The dry spices are bolstered by woody notes (a good dose of Iso E Super too) and aside from a slight mellowing of the spicy pepper, the fragrance is linear and seems to fade out of being over the course of three to four hours. Some Hermessences seem ideal for layering, and like in the kitchen, the combination of roses, rhubarb and peppery spices is a great one – Rose Ikebana layers brilliantly with Poivre Samarcande, bringing the gourmand aspect of both scents to the foreground. This spicy delight has drawn out my appetite for pepper, so I’ll be taking a sniff of my new favorite perfumer since Frapin 1697, Bertrand Duchaufour’s Poivre Piquant, that he created for L’Artisan Parfumeur, soon. Marc Jacobs Bang will be on my pepper list as well, and I am hoping for your suggestions! 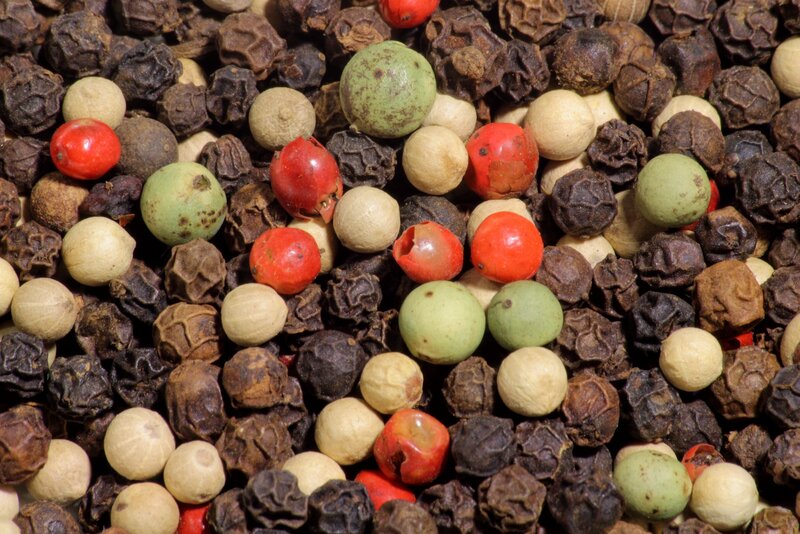 What is your favorite pepper fragrance? What spicy composition do you love? This entry was posted in Fragrance Reviews, Hermès, Spicy, Woods and tagged Fragrance, Hermes, Hermessence, Iso E Super, Pepper, Perfume, Poivre Samarcande, Review, spices. Bookmark the permalink. I find pepper to be sharp on my skin. But my favorite perfume where pepper is in the background is Paestum Rose by Eau d’Italie. It is not sharp at all. The spices spruce up the rose so it is not so sweet. It was one of my first Bertrand Duchaufour purchases and I have been transported to a new level of perfume enjoyment since. Paestum Rose is high up on my to-sniff list. The new Bois Blond by Atelier Cologne has quite a bit of pepper in it! I like Bois Blonds a lot, the entire line is great actually. I can’t pick a favorite from the line, they are all so interesting and well made. I adore the pepper in Ta’if and would love a pepper-heavy scent that isn’t too bitter. The two you mention sound great and are at the top of my list. Look forward to reading others’ recommendations. Incidently, I noticed on Amazon that Luca Turin and Tania Sanchez have a new book coming out later this year entitled “Little Book of Perfumes: The 100 Greatest Scents”. After hearing they won’t be updating “The Guide” anymore, I’m very happy about this! Oooh, really? I wonder if it’s just a compilation of all of their 5-star rated scents…or did they write/add additional info? Love Perfumes: The Guide, and often wonder what LT and TS’s take would be on some of the new fragrances that have released over the past year+. Ta’if is really beautiful, I love that the rose and the spices weigh in equally, it is not a classic “rose perfume”. Pepper can be tricky, but I think Poivre Samarkand does it well. I tried Le Labo Poivre in Liberty’s, not bad either, but I would need to get to know it better. It is the be all, end all pepper, the only pepper I ever want to know. I’m hoarding my 8 or so mL that I have left, because I certainly won’t be at Liberty in London anytime soon! Why, oh why must it be a city exclusive? If you can get ahold of some, you really ought to try it, because it’s divine. 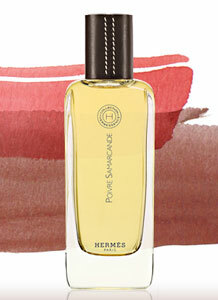 Terre d’Hermes, I think, is my favorite pepper perfume (though, I do not wear it, I like its smell on my vSO). I forgot about that one, thanks for the reminder!